This week on The Young and the Restless, Nick learns the entire truth from Victoria, Nikki, Phyllis and Sharon about J.T.’s murder. How will he help them get out of the mess they find themselves in? Summer comes back to Genoa City meaning Hunter King is back on the canvas. Will Kyle’s feelings for Summer bubble to the surface and what will that mean for his burgeoning relationship with Lola? And, what has happened to Katie? Is Billy going to relive his worst nightmare, the loss of a child? Victor gives Arturo an ultimatum. Summer returns home on a mission. Jack makes a decision about his relationship with Kerry. Nikki makes a dangerous mistake. Let us know via the comment section below, which storypoint are you looking forward to seeing the most? I am hoping to see the end of this JT fiasco, and Mia. Yea, I know it ain’t gonna happen! I just wonder how long we’ll be tortured by this horrible woman. You can’t tell me that her own family can’t see how despicable she is, and lusting after Arturo, and they let her get away with it. I also can’t believe we’re having to see Summer again, so soon. OMG, I thought we got rid of her for a while. Also, you can tell that Katie is very familiar and unafraid of the “friend” she’s talking to. It’s got to be JT, although T.L said his time on Y&R was over, never to return. We’ll see. I don’t think Kaie’s imaginary friend is so imaginary, Violet. I want an end to the JT drama, myself—-but, if what I ‘imagine’ is true; it “ain’t” over until JT sings. I had another thought–Ian Ward? Believe it or not, Mia is cracking me up now. She was sitting at the Abbott table with boobage spilling out of her tacky dress while making a drunken fool out of herself as the Abbotts clutched their pearls. Maybe I was wrong about Mia, maybe she can be fun. She might be that woman we all love to hate. And please don’t think me cruel but when Kerry told Jack she is getting hormone injections, I thought she was about to tell him she was a trans. Now that might make those two interesting. Sadly, she’s just freezing her eggs in case she decides to have a baby down the road. This couple ended before they started–it needs to end yesterday. LOL. You may be right, Harry…..Perhaps, comedy is Mia’s calling…..in a scalawag(gy? )-kind of way. A sea urchin? Definitely not Lorelei. She, actually, is sort of stepping up her acting “skills”. Hmmmm. It’s the writing that bugs me—-the lavish praise on Mia’s beauty fallsvon deaf ears for me. She does not “Walk In Beauty”, Harry—no paragon of virtue immortalized in prose/ poetry. ….simply a craven “beauty”…. So, the exaggeration is just that–a cartoonish symbol …..
Mia is stuck between two men. She loves them both—Rey is her safe haven……Arturo is her passion. She’s pretty young; but looks much older due to her hard countenance—-she’s been “places”. Arturo, I suspect, feels the same “stirring”; lowdown, carnal instincts. Hurts so good?? So, what happened? Is Abby a distraction? A means to an end? Does he think he can rid himself of Mia’s image out of his hesrt and mind by marrying Abby? I don’t think he is attracted to her money ……..but rather, to her lofty status…..she’s on a different plane; so vey foreign to him. The icy-hot princess in her ivory tower, Harry—perfect oxymoron. Mia’s fiery temper does not fit the perpetuated love affair the audience ( or reader) has with the mythical femme fatale. Oh, and….those “things”are real, Harry ( the boobage). The Kerry/Jack thing ( whatever one may call it) is a disaster. A joke. She is the worst actress!! Bad story ….worse plot. These writers have lost their collective minds. Are we to anticipate another offspring from Jack? One whom we will see once and from whom we will never hear again? I’m still trying to remember what happened to Kemo. Why would a young woman in her twenties want a man forty years her senior? Freezing eggs, my unmentionable, Harry. I still say she has an agenda. Ok….so, who do you think is Katie’s imaginary friend? JT? Ian Ward? Adam? —-or someone so off the realm of imagination to completely take us off guard? Harry, YOU crack ME up! You always hit the nail on the head. Everything you said about Mia is true, and then some. She would be a joke if she wasnt so damn twisted and evil. I fear for Abby, because Mia hates her so much. I still can’t understand why her family makes all these excuses for her bad and malicious behavior. What you said about Kerry possibly being trans, was not mean, and I’ve read it elsewhere. Some think she was going to use it on Jack. I really don’t understand why a woman of that age would have the need to freeze her eggs. Another thing was Jack rambling on about the best thing he’d done, was to be a father. To whom? One grown up son, he didnt know he had, and Kyle, who admits he was at boarding school most of his life. Does step-fathering Nick and Victoria for a short while count? Sounds like GH’s Alexis before she climbed aboard the “AA Express”….except she was NEVER fun, just a cheap, pathetic lush! She is shaker & breaker! The actress is good, very good. As for Kerry and Jack YAWN , not much to ’em..
As for Kaie — I had to google her LOL had no idea who she was..
ahaa reminds me of Adam the ‘glove’ being dug out of the script graveyard..
Hi Celia, I only said imaginary ,because Victor and Victoria used the word. We all know he’s real,I’m still voting for JT. Katie doesn’t know Ian, and wouldn’t be so friendly. Also this mysterious person is supposedly working with an accomplice, but don’t know if I agree with that theory. LOL…I know–I meant to stress the fact, as you did, that this is no imaginary friend…. And, you’re right about Ian…..it would have to be someone with whom Katie is familiar, such as JT. I also thought of Adam. Perhaps it is just a pike dream– but I am hoping Katie’s friend is Adam– he would be very familiar with the ranch– and spying on everyone is just the kind of thing Adam use to do. Mia is growing on me– the show needed a shot of girl from the wrong side of the tracks to ruffle the feathers of the GC elite. Both Ray, Lola and Mia are quickly outshining Arturo who was the original family member in GC. And yes please end this JT story line– it is now running a close second to the musical box mystery as the worst plot in the show’s history. Personally, I would be happy with the- it was all a bad dream- device if we could just move on already. It’s time to say goodbye to one of the most enduring characters of The Young and the Restless when Genoa City mourns the death of Neil Winters in emotional episodes beginning tomorrow on the April 23rd episode of the top-rated CBS Daytime drama series. 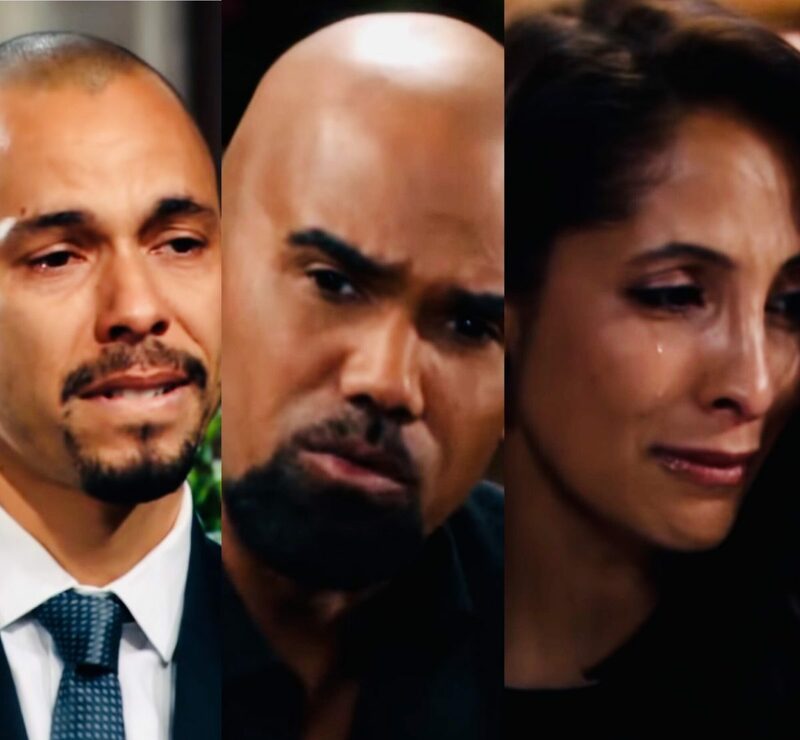 Y&R taped this heartbreaking storyline several weeks back as a proper send-off to Kristoff St. John, who played Neil for over 28 years before he passed away this past February. Neil’s death and its impact will be felt throughout Genoa City. On Monday, in preparation for the upcoming 4 episodes, CBS Daytime released its “Remembering Neil Winters” promo. 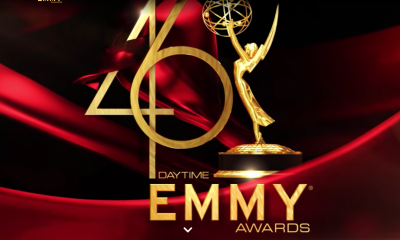 In it, Lily (Christel Khalil), Victor (Eric Braeden), Devon (Bryton James), Ashley (Eileen Davidson), Nick (Joshua Morrow), Nikki (Melody Thomas Scott) and the returning Malcolm (guest star, Shemar Moore) later in the week, are overcome with sadness and emotion as they have to face life without Neil. Watch the promo below, and let us know that you will be watching as we remember this special character and the man who portrayed him via the comment section below. 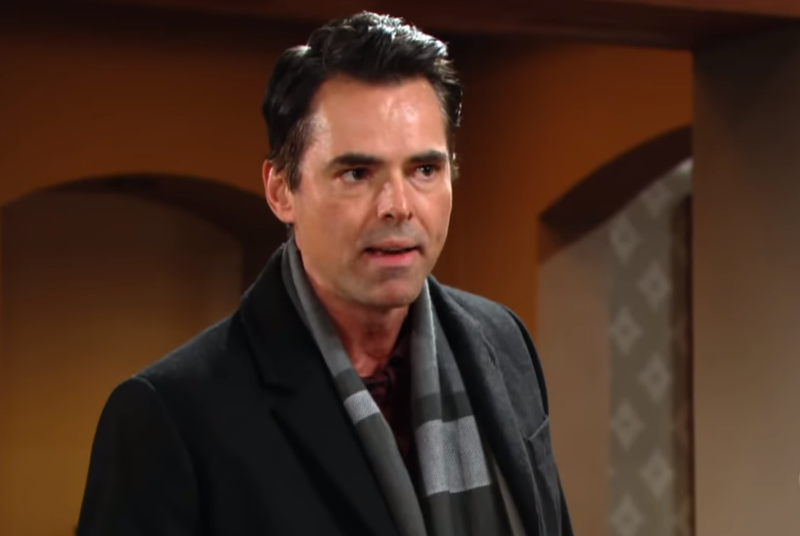 This week on The Bold and the Beautiful, Brooke (Katherine Kelly Lang) and Taylor’s (Hunter Tylo) long-running feud over Ridge (Thorsten Kaye) reignites after Brooke witnesses a kiss between her husband and his ex-wife. Ridge understands why Brooke is upset, but the gloves come off when he sees the two women going at each other. With their son, Thomas (Matt Atkinson) and their daughter Steffy (Jacqueline MacInnes Wood) all back in Los Angeles, it clearly draws Ridge and Taylor together, but will Brooke’s love for Ridge win out? Meanwhile, Quinn (Rena Sofer) is clearly Team Flo (Katrina Bowden) and wants her to get back together with her son, Wyatt (Darin Brooks), much to the chagrin of Sally (Courtney Hope). In addition, Sally is made an offer to stay put at Forrester Creations and is finally getting her due as a designer. But, will others once again try to bring her down? Check out these teasers for the action on B&B below and then this week’s CBS promo for the series. Then let us know via the comment section below, which storypoint you are looking forward to the most? Taylor and Brooke rehash their opposing history after Taylor admits she has an ulterior motive. Ridge intervenes before Brooke and Taylor’s war with words escalates to something else. Flo is touched by Wyatt’s request and Quinn’s enthusiasm at their reunion. Sally stuns Wyatt when she reveals that she is reconsidering her decision to work at Spencer. Katie and Bill are “set-up” again; this time with a romantic dinner for two prepared by “Chef Chambre”. 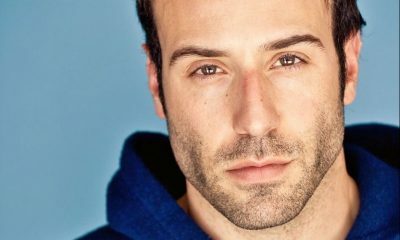 All roads lead to Shiloh (Coby Ryan McLaughlin), and you can put Willow (Kaetlyn MacMullen) in the mix now that it has been revealed she used to be in Dawn of Day and as she confesses to Chase (Josh Swickard), that she had Shiloh’s baby. That would mean that Willow believes the baby Brad (Parry Shen) and Lucas (Ryan Carnes) are raising is hers with Shiloh! Willow finally admits the truth to Chase, but says that she must leave town as to not jeopardize the safety of her baby. Chase tells her he will keep her safe and to stay in town. Will she give their romance a fighting chance? Meanwhile, all of Port Charles is reeling from the news that Kevin (Jon Lindstrom) knew that his serial killer twin brother, Ryan was alive and that he was treating him before his escape from Ferncliff and trading places with him. Will Laura (Genie Francis) ever take Kevin back? Will Ava (Maura West) continue to hope that she can end Ryan’s life herself, if he survived the fall from the bridge in Niagara Falls? And ,something is not right with Dante’s (Dominic Zamprogna) homecoming. We saw that he has scars and marks all over his back, which leads one to believe he was tortured while in captivity and on his mission. Will anyone see that Dante needs help desperately? Check out these teasers for this week’s GH’s and the latest promo for the soap below. Then, let us know what storypoint you are looking forward to seeing the most via the comment section below. Anna admits the worst is possible. Julian compels Ava to seek help.